Where does the speculation start and finish? Invited contributors speculate on a fictional future of one of their projects and illustrate a fictive scenario in text, image or collage. We asked a number of artists/architects/urbanists who are/have been involved in participatory and/or self managed public programmes, to revisit that particular projectâ€™s initial ambitions and concepts in relation to the reality of its lived appropriation. The invitation was to fictionalise the future of the project, after it has already gone through multiple speculations by the different authors and users involved; this is meant as a light hearted opportunity to assess what has taken place so far, and to push it into a (probably) unrealistic direction. The Fanzine was produced and published to accompany Friday Session_21, which will took place on Friday 14th September at public works studio London, and is co-hosted with Book Works, who launched publications by Luca Frei and Alun Rowland that same evening. 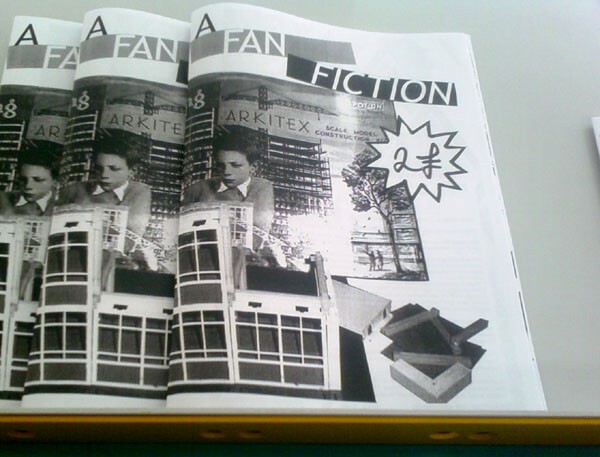 The Fanzine is an A4 portrait format, copied next door, and sold at cost price of Â£2. Please contact public works should you wish to obtain a copy.